This provided sample project created in Microsoft Studio has both a Visual Basic and Visual C# source code example. A project file and EXE is included as a template. The EXE file is located in the “DEBUG” folder of the project. 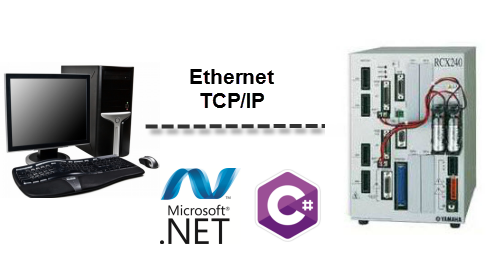 The RCX240 controller uses Yamaha’s “Online Command” protocol to integrate with Ethernet TCP/IP or RS-232 serial devices.